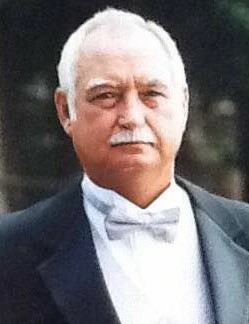 Curtis Carter, age 72, of Baxley, died August 16, 2018 in the Appling Healthcare System. Mr. Carter was born August 8, 1946 in Appling County to the late George Washington Carter & the late Lucille Holcomb Carter. He was a member of Midway Baptist Church and was a Correctional Officer for Wayne State Prison. Mr. Carter served in the United States Army and was preceded in death by two sisters, Reda Carter, Elouise Carter Williamson and a brother, Colvin Carter. Survivors are his wife, Ann Carter of Baxley; two daughters and a son in law, Misty Branch and Sharon & Lonnie Adams all of Baxley; sister, Joyce Pearce of Baxley; brother, Aaron Williamson of Baxley; four grandchildren, Kayla & John Waters, Carter Branch, Shollee Branch and a special friend, Ron Rozar. Funeral services will be held Saturday, August 18, 2018 at 2:00 p.m. at Midway Baptist Church with Rev. Brian Brazzell, Rev. Michael Beecher, Rev. Benji McReady officiating and a eulogy by Aaron Williamson. Visitation will be one hour prior to the service at Midway Baptist Church. Interment will follow in Ten Mile Creek Baptist Church Cemetery. Active pallbearers will be Kevin Carter, Blake Carter, Carter Branch, Toby Hallman, Curtis Hallman and John Waters.